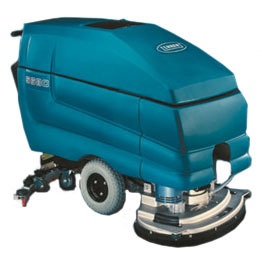 The TENNANT 5680 is a walk behind battery auto scrubber. This is one of the most popular models in its class. Known for its durability and reliability, the TENNANT 5680 is a great addition to your floor equipment fleet. It features a corrosion-resistant scrub deck, easy-to-use control panel, and large capacity solution and recovery tanks.